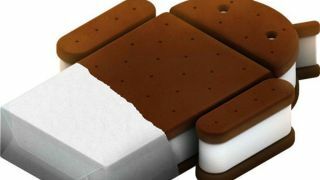 Delicious as it already was, Raspberry Pi is slowly but surely getting tastier as the developer team is working on a port of Android 4.0 aka Ice Cream Sandwich. The £22 computer was recently beefed up by the addition of an OS, known as Raspbian but Android will make it much more of a draw. The video below shows the Google-made OS running off the chip on a television, and it's looking pretty darn polished considering. "This implementation uses a different kernel and VideoCore binary image from the one available on GitHub, which is why we've been keeping quiet about it so far," writes Eben, one of the founders, on the Raspberry Pi blog. "We're investigating the feasibility of converging the two code lines to produce a single common platform as soon as we can, at which point we hope to release the sources for you to play with." You can check the little chip that could and its big bad new OS in action in the video below.